Philadelphia has been growing as a high-tech job center — but Amazon’s growth arrow is pointing elsewhere. It almost seems silly to ask if too much prosperity is a good thing. But did you really want to be standing underneath a "prosperity bomb"? That's the evocative phrase that Seattle Times columnist Danny Westneat used to describe the fallout from astronomical housing costs, congestion, and income inequality that come after raining down tens of thousands of six-figure tech jobs on one city, as has happened in Westneat's hometown in the early 21st century. In an anticlimactic finish to a 14-month spectacle that left virtually no one satisfied, the Godzilla of high tech, Seattle-based Amazon, made it official Tuesday: Its second headquarters and 50,000 eventual high-paying jobs will not only not come to Philadelphia — despite a cloying campaign that even plastered itself on Seattle's buses — but will instead be divided evenly between Philly's two archrivals, New York City's Queens borough and Washington's suburbs in northern Virginia. There was a time, maybe 20 years ago, when losing out to NYC and D.C. would have been a fatal blow to Philadelphia's already looking-up-at-the-grass-low civic self-esteem. In November 2018, it wasn't even our city's worst loss of the week — a dishonor that goes to Eagles coach Doug Pederson and his sputtering gridiron champs. Honestly, losing Amazon — upon further review — feels like a win for Philadelphia, a moment that hopefully we'll look back on as the day that we dodged a bullet, if not that bomb. The Amazon turn of events gives our city an opportunity to a) continue the steady growth of tech and pharma start-ups that have made Philly a fun and not obscenely expensive place to grow a business over the last decade; b) address income inequality before it's too late — which it already is in cities like San Francisco and Amazon's Seattle; and c) succeed where New York and D.C, are also likely to fail in the 21st century — become a big city that's prosperous yet livable. A former dock facility is shown with old transfer bridges, with “Long Island” painted in large letters at Gantry State Park in the Long Island City section of Queens, N.Y., Tuesday Nov. 13, 2018, in New York. Amazon announced Tuesday it has selected the Queens neighborhood as one of two sites for its headquarters. "We can work through it," said Christopher Wink, who, as CEO and publisher of Technical.ly, a local tech-news site that started in Philadelphia in 2009 and has expanded to other cities, has been on the front lines of tech growth here. He told me he meant that income inequality in places like San Francisco is so out-of-whack that the less advantaged have already been driven out of town, which hasn't been the case in Philadelphia … yet. "None of these cities have solved the problems of socioeconomic diversity, but Philadelphia has an opportunity for that." When Wink launched the Technical.ly Philly website nearly a decade ago, some wondered if Philadelphia actually had that much of a high-tech community to cover. No one asks that anymore. Last year, the Economy League of Greater Philadelphia found that 25,000 high-tech jobs — one-fourth of all employment growth — were added here since 2002. Philadelphia's advantages, like its bevy of top-flight universities, joined with its lack of certain disadvantages (the sky-high rents that make New York, Washington, and Boston hard for 20-somethings to live in) to make the city a destination for a young creative class of not just software engineers but rock musicians or rising chefs. Many did not benefit from this. While, as Wink noted, housing prices didn't rise to a level that drove all of Philadelphia's low-income families into South Jersey, income disparity did grow here, as elsewhere. Folks in the city's many struggling neighborhoods give Philadelphia the highest rate of deep poverty of any large U.S. city, and programs seeking to make a dent in that — like the pre-K program funded by the soda tax — are barely underway. That was the state of play when Amazon launched this exercise in economic development disguised as farcical TV reality show in September 2017. Every city and many small towns felt obligated to compete, much like trying to buy a billion-dollar Powerball ticket, and so you saw obscure places like Stonecrest, Ga., offering to rename itself "Amazon, Georgia" and declare its multi-multi-billionaire CEO Jeff Bezos its mayor. Philadelphia's golden-retriever-like desire to please Bezos and Amazon was more embarrassing than funny — a more-than $500,000 effort that included those ads on Seattle buses calling Philadelphia things like "the City of Foodie Love" and a secret, frantic-sounding pitch meeting at Barbuzzo for stone-faced Amazon executives. 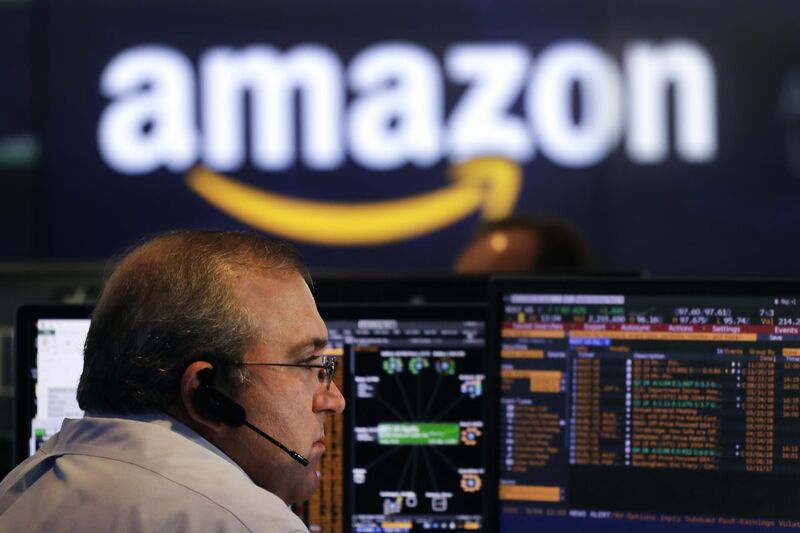 Yet it was understandable that city officials saw Amazon as the public cherry on top that would make America notice its under-the-radar tech growth. "Why the hell are U.S. cities spending tens of billions of dollars to steal jobs from one another in the first place?" asked the Atlantic's Derek Thompson in noting that the $90 billion that cities and states throw at already profitable companies to move from one place to another now exceeds what the federal government spends on infrastructure or on schools. His good ideas include a federal ban on these subsidies (possibly unconstitutional, he notes) or an excise tax that would make this insidious brand of corporate welfare no longer feasible. Those localities argue, of course, that money coming in from Amazon's highly paid professionals and their sushi restaurants and $3,000-a-month studio apartments or whatever would be a net dollar gain in the long run (assuming Amazon made all the promised hires — many firms do not). But the majority of their new employees would be relocating out-of-staters and not current Philadelphians — and yet current Philadelphians would still have to pay the higher rents and sit in the worsening traffic. "It's no egalitarian device, this prosperity bomb. Rents have soared, and we're now one of the more unequal, unaffordable cities in the nation," wrote Seattle's Westneat. Heartbreakingly, he added that for the Amazon derby winners, "the blast radius will also inexorably consume a string of hundred-year-old diners, dive bars, and legendary mom and pops that 'just couldn't keep up' with the boom. In its place come the new and sterile; our restaurant scene in the Amazon Jungle was recently compared to an airport food court." How telling is it that when it was confirmed Tuesday that the tech giant had picked Long Island City, Queens, and a place in Arlington, Va., that it calls "National Landing" (a totally made-up name, which seemed oddly appropriate), the people who were really fighting mad were not the places that lost out but the cities that won? It's not hard to imagine the algorithmic lifestyle of Amazon City eroding if not destroying the heart of a champion that Philly wears so proudly on its sleeve. I actually agree with Mayor Kenney and city officials who say that bidding for Amazon was worth the expense because it helped us take inventory of where Philadelphia is at. And where Philly is at right now is … not terrible. We need to keep channeling the fuel of steady tech and creative job growth in a way that it doesn't explode in our face, invest those economic returns in better schools and making sure that no neighborhood is left behind — and save our quirky spirit in the process. If Philadelphia can do that, and invent the great American city of the mid-21st century, then the day we dodged the Amazon bullet — Nov. 13, 2018 — will be remembered as one of the great days in city history. Not as great as July 4, 1776, or Feb. 4, 2018 — but right up there.